Apple iPhone X vs iPhone 8 Plus vs iPhone 8: What’s the difference? The iPhone 8 and iPhone 8 Plus are similar to the previous iPhone 7 and 7 Plus, but the iPhone X changes things up in terms of design and features. Here are the differences and similarities between the three iPhones, all released late last year.Check out where the iPhone X appears in our guide to the best smartphones. 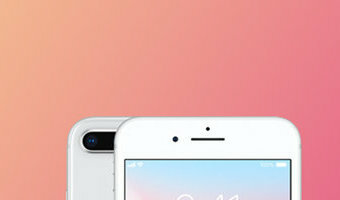 Apple iPhone 8 vs iPhone 8 Plus vs iPhone X: Design All IP67 waterproof iPhone 8 smallest, iPhone 8 Plus largest iPhone X most exciting design The Apple iPhone 8 and 8 Plus both feature an aluminium frame with a glass rear and they are both available in Silver, Space Grey and Gold colour options.The iPhone 8 is the smaller and lighter of the two, measuring 138.4 x 67.3 x 7.3mm and weighing 148g, while the iPhone 8 Plus is bigger and heavier measuring 158.4 x 78.1 x 7.5mm and weighing 202g.The iPhone X meanwhile has a glass rear too but it has a surgical-grade steel frame and it is only available in two colours, comprising Silver and Space Grey. In … [Read more...] about Apple iPhone X vs iPhone 8 Plus vs iPhone 8: What’s the difference?